Kick 2018 out the door & usher in 2019 in Manayunk! Join us for a Night of Dinner, Drinks and Dancing. NYE at Bourbon Blue has been a Sell Out for the last few years, this IS the Only Party to be at in Manayunk. Celebrate through the countdown w/one of our premium party packages! Plus the DJ's gonna be on the decks spinning the party hits all night long w/hats & party favors for everyone! Don't miss out on the party to be at in Manayunk...Happy New Year Friends! View More Events Organized by Bourbon Blue. New American restaurant with New Orleans flavor, canal views & a lounge with great live music on weekends. 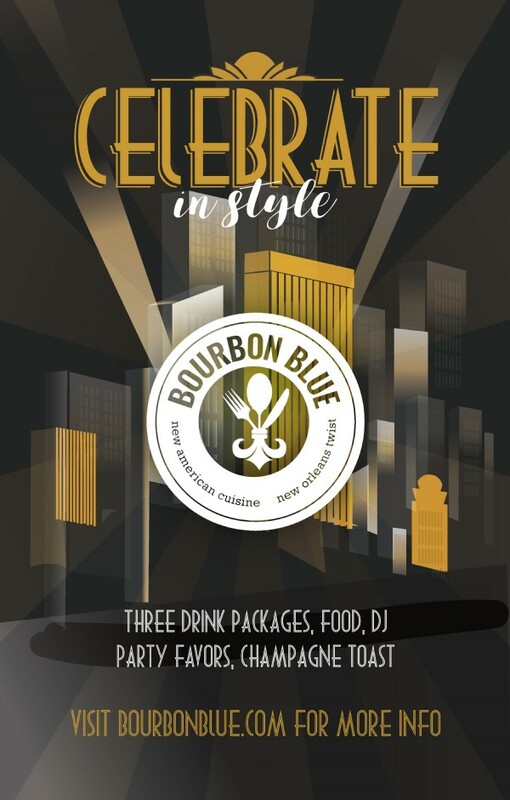 This event is organized by Bourbon Blue.